You can participate alone or in a group, as long as you and all the members of the group are of maximum 25 years of age at the time of the production of the video submitted to PLURAL+. Create a video in any style or genre: animation, documentary, drama, music video, comedy etc. - whatever you decide best represents what you think about migration and diversity. Your videos must be maximum 5 minutes long, including title and end credits. Videos do not have to have been made specifically for the PLURAL+ competition, but videos must have been completed after January 2016. The PLURAL+ Jury Awards will be awarded to one entrant per category. One representative of each PLURAL+ International Jury Award winner will be invited to New York, (plane and hotel accommodation paid), to present their work at the PLURAL+ 2018 Awards Ceremony in New York in November 2018. Please check the rules of the competition. 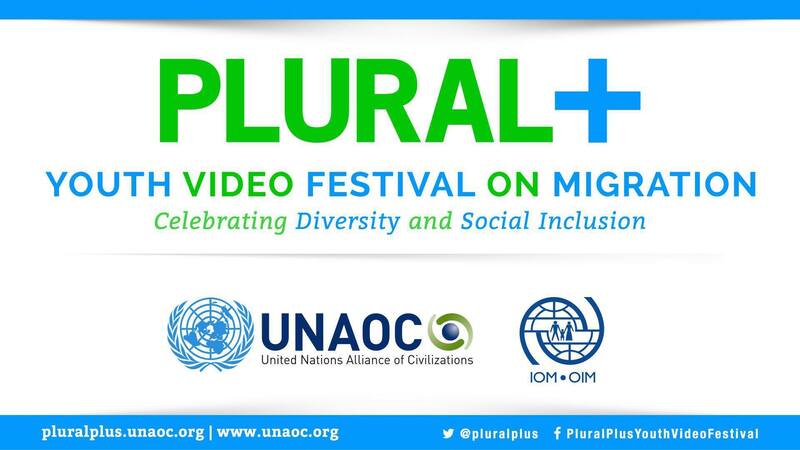 The Plural+ Youth Festival is organised by the United Nations Alliance of Civilizations together with the International Organisation for Migration (IOM).